Honda CR-E MX concept electric bike could head to production? Honda's CR aka Competition Racer range of motorcycles are proper off-road offerings, built since the 70s. The CR 125, CR 250 and the CR 450 are some of the popular examples. Also, the CRF1000L that is also known as the Honda Africa Twin, is also sold in the Indian market. The Japanese manufacturer presented a CR-E MX electric bike at the Tokyo Motor show in pure concept form and did not reveal if it will ever hit production. However, we believe it should be an interesting proposition given how many conventional automobile manufacturers have already started developing all-electric offerings. It is already known that Honda's sister brand, Mugen has been taking giant strides in the world of high-performance electric motorcycles. Last year, the firm unveiled the Shinden Nana which makes use of a CFRP Monocoque frame and is powered by an oil-cooled, three-phase, brushless motor producing 160PS and 230Nm of torque. Mugen has been dominating the electric TT for the last five years, and plans to continue doing so. 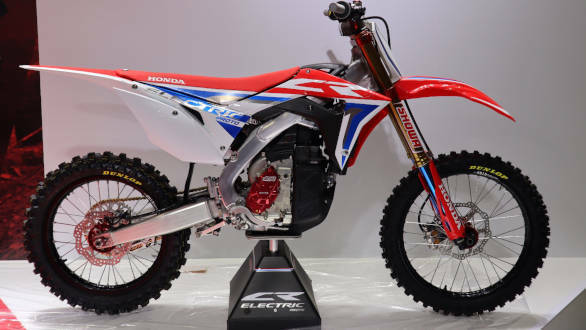 Earlier this year, Mugen unveiled the E-Rex electric dirt bike which was based on the Honda's CRF frame. While the details on the powertrain were not revealed, the E-Rex electric bike came with Showa suspension and Dunlop off-road knobbies. The CR-E MX concept electric motorcycle is an outcome of the joint effort between Honda and M-Tec (Mugen Motorsports) wherein the latter was responsible for the battery power unit. Honda has mentioned that the learning from the CR Electric prototype will be used in the company's development of upcoming on/off-road electric motorcycles. 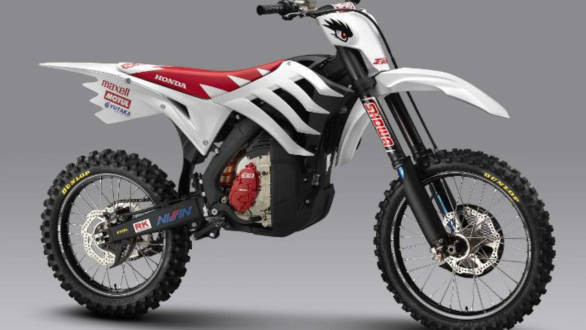 The Honda CR-E MX's electric powertrain will make use of Lithium-Ion batteries. 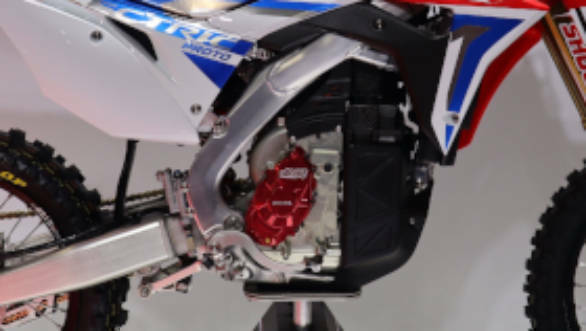 While more details on the battery pack and the numbers in terms of performance, range and charging time are still under wraps, Honda is looking to make the CR-E MX produce a similar performance as its 250cc range. KTM has the Freeride E-XC while Harley-Davidson has the LiveWire. We believe with the CR-E MX, Honda too could enter the exciting world of electric motorcycles. Let us know your views in the comment section below. 2019 Honda CBR150R supersport unveiled internationally  India bound?